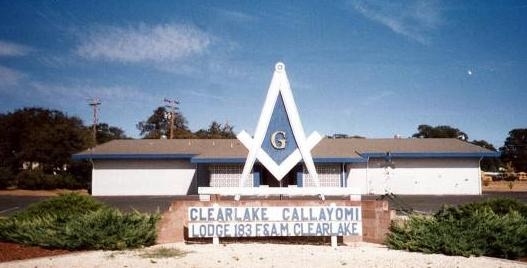 Welcome to the home of the Clear Lake/Callayomi Masonic Lodge #183!! Our thanks to Brother Fred Veio for providing all the photos. Click on Trestleboard in the menu bar at left to go to the page which contains the most recent monthly Trestleboard. All Entered Apprentice and Fellow Craft Masons are welcome to attend all Stated Meetings. Please join us for dinner and the Stated Meeting afterward and enjoy fellowship with your Brethren! See the coming events Page for upcoming events.